Rose Metal Press, 9781941628102, 84pp. Fiction. Art. Hybrid Genre. Relentlessly original and brilliantly hybrid, MONSTER PORTRAITS investigates the concept of the monstrous through a mesmerizing combination of words and images. An uncanny and imaginative autobiography of otherness, it offers the fictional record of a writer in the realms of the fantastic shot through with the memories of a pair of Somali-American children growing up in the 1980s. 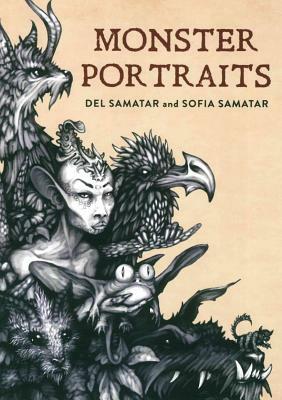 Operating under the sign of two--texts and drawings, brother and sister, black and white, extraordinary and everyday--MONSTER PORTRAITS multiplies, disintegrates, and blends, inviting the reader to find the danger in the banal, the beautiful in the grotesque. Accumulating into a breathless journey and groundbreaking study, these brief fictions and sketches claim the monster as a fragmentary vastness: not the sum but the derangement of its parts.